Particle & Surface Sciences along with Micromeritics presents a range of materials characterization solutions to fit various application needs. Particulate Systems, launched by Micromeritics in 2008 focusses on providing customers with a wide range of innovative instrumentation and services to address their materials characterization requirements. Particulate Systems presently offers a range of ten products with the latest addition being the material flow equipment, SPECTester material segregation testers. SPECTester material segregation testers employ advanced spectroscopic technology to analyse samples comprising of up to six individual components and provide a simple report indicating the quantity of sample material being segregated and the reason thereof. Materials characterization solutions from Particulate Systems include particle insight dynamic image analyzer/ particle shape analyzer, HPVA - 100 high pressure volumetric analyzer, MA-1040 magnetic analyzer, DVS Advantage - dynamic vapour sorption (DVS), DVS Intrinsic, PID microactivity reactor, H.E.L. 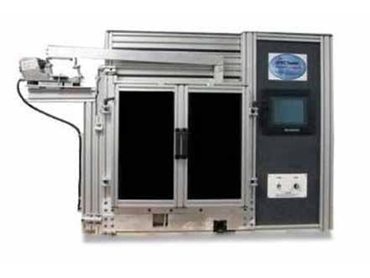 limited subsieve autosizer (SAS), Vasco DLS particle size analyzer, SMS surface energy analyzer (SEA) and SPECTester material segregation tester.